The frontman reunited with Alex James, Dave Rowntree and Graham Coxon in 2008 after a five-year break, and they completed a world tour in January with no plans for the near future. "I just haven't got the time. We put in a good shift last year and played a lot of gigs around the world. Everyone's off doing other stuff at the moment," he told Rolling Stone. 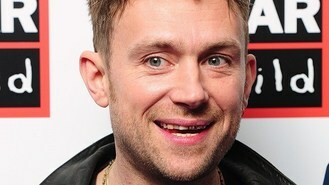 Damon, who has been working on his solo debut album Everyday Robots, teased they could release new music in the future. It would be their first new music since 2003's Think Tank. "There is material. But I can't foresee us in the near future being in a position to finish it. We're just all doing other stuff," he said. The 45-year-old musician added: "It's a big part of my life. I'll never abandon the spirit of it ever. It's kind of in me." Damon - who will receive the NME Award For Innovation at this year's NME Awards - also said he never considered making a solo record before. "I just never imagined it was something I'd do," he said. "Who doesn't love playing in a band? It's f***ing brilliant. The best. Maybe I was just subconsciously avoiding a solo album." However, he denied he would be focusing on a solo career, adding: "I've always made music. This one just has my name on it. "You could say that I'm embarking on a new stage in my life, but really I could turn around next time and do something else. So it's not a given that I've become a solo artist."